The Karnataka government is sending elephants for their UP counterpart, Yogi Adityanath helping him fulfill his dream project of Dudhwa National Park. 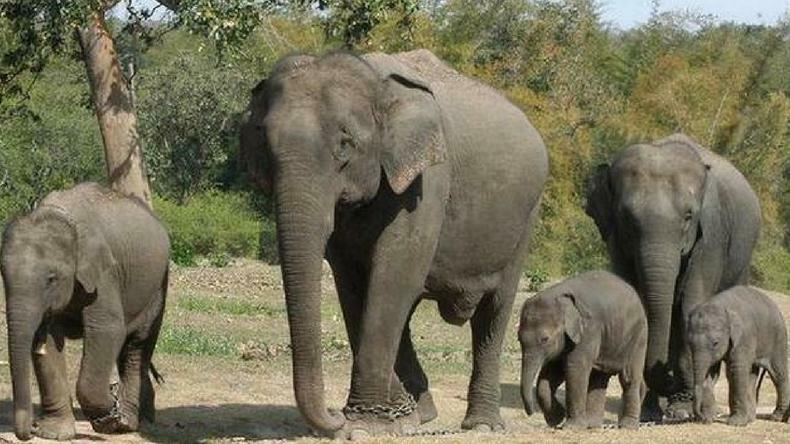 15 elephant trainers have been employed in the process of transferring the elephants to Uttar Pradesh by April 20. Despite the fact that Uttar Pradesh Chief Minister Adityanath Yogi made the beef-eater barb earlier in January, the Karnataka government is now helping the UP CM fulfill his dream project by sending him a jumbo gift. If reports are to be believed, as many as 11 elephants have been selected from the Nagarhole National park and Bandipur Tiger Reserve for Dudhwa National Park for the presentation. A team of 15 elephant trainers have been employed at the two national parks for helping in the process of transferring the elephants to Uttar Pradesh by April 20. Moreover, the free exchange has been moderated by the Union ministry of environment and forests. Reports say that special arrangements have been made for the purpose by the UP State Tourism Development Corporation (UPSTDC). “The elephants will be transported in huge trucks having a set of five tyres each. The caravan of 11 trucks will also include veterinary experts and handlers from both UP and Karnataka. The road journey will take 5-7 days.” said UPSTDC managing director Akhand Pratap Singh. Meanwhile, CM Yogi had earlier talked about the Dudhwa National Park at several platforms including the Investors’ Summit. He had said, “I have seen Dudhwa. No other forest in the country is as rich. It is home to birds, deer and tigers. Animals can be sighted at every kilometre.” The CM also has a plan to transform the place into a world-class eco-tourism destination. He has asked the forest and tourism officials to take care of that. The CM wants a heritage train like in European countries along with ultramodern Swiss cottages for a luxury experience.